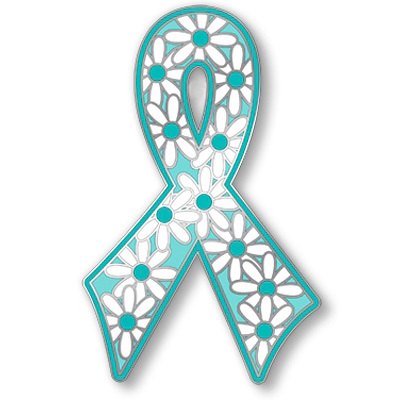 Teal Flower Power Ribbon Pin Another great way to show your support for Ovarian Health Awareness. This pin is 1 1/4" tall and is a great quality custom Cloisonne pin. SOLD OUT! We also have a matching Flower Power Teal Ribbon keychain.